The historic city of Agra is the well-known site of one of the Seven Wonders of the World - Taj Mahal. The massive, white marble mausoleum is a symbol of love built by Mughal emperor Shah Jahan in memory of his wife Mumtaz Mahal. 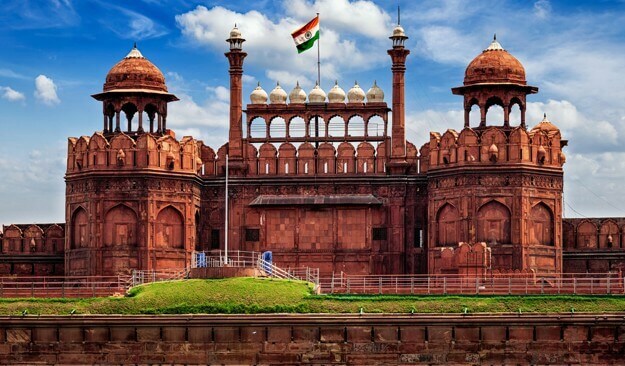 This jaw-dropping monument took 22 years and 20,000 workers to build, and remains an epitome of Mughal architecture. Also in Agra, is the impressive Agra Fort made of red sandstone and protecting the imperial city of the Mughal rulers and its many palaces. Make your way to Jaipur, known as Pink City, to visit exquisitely designed royal halls at the hilltop Amber Fort or the intricate honeycomb architecture of Hawa Mahal (the Palace of Winds). Jaipur is speckled with numerous religious institutes including the Govind Dev Ji Temple, Galtaji and the Lakshmi Narayan Mandir. Visitors flock to Ranthambore National Park, located about 180 kilometers from Jaipur in southeastern Rajasthan, to explore the various wild game and flora of the park, including the hefty tiger population and the largest banyan trees in India. 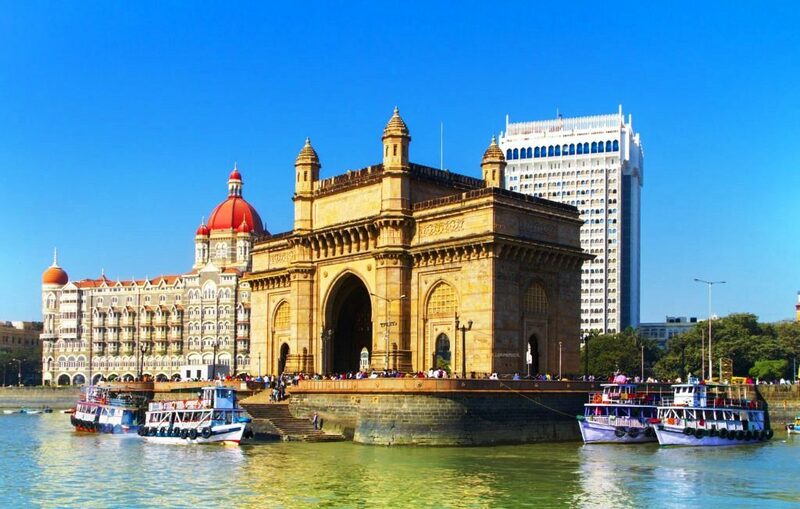 The bustling city of Mumbai, located on India's western coast, is not only the country's largest city but is also referred to as the "Gateway of India." Formerly Bombay, Mumbai is also the financial capital of India and the center of the Hindi art and film industry, showcasing Bollywood cinema. Pose for photos at the waterfront Gateway of India monument, dine in luxury at the Taj Mahal Palace hotel nearby, or visit the terraced Hanging Gardens perched high on Malabar Hills. Spanning roughly 1,560 miles (2525 kilometers), the Ganges River flows through north India and the Himalayas into Bangladesh where it empties into the Bay of Bengal. 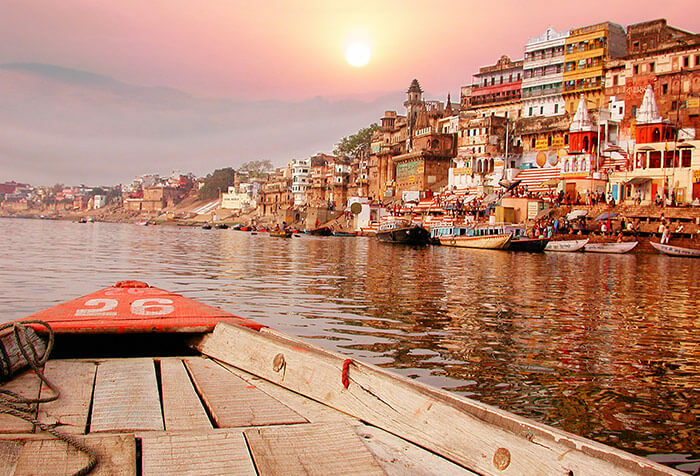 An early morning boat ride will offer the chance to see cleansing rituals being performed as the river is considered sacred by Hindus and worshipped as the goddess Ganga. On the banks of the Ganges River lies Varanasi, commonly referred to as Kashi, and believed to be "the religious capital of India". Experience the spiritual energy of this prominent pilgrimage site as you tour holy temples and shrines. Meander narrow streets of the Old City to peruse the stalls for handicrafts, perfumes, fine silk and other trinkets. Nearby is Sarnath, home to ruins, monasteries and temples, as well as the place where Buddha gave his first sermon. On the northeast tip of India in the Himalayas lies Darjeeling, a popular summer resort, thriving on its tea plantations, most notably black tea. Sip on a cup of fresh brew then explore the town's many parks and museums. The city is also home to the Darjeeling Himalayan Railway ("toy train"), a UNESCO World Heritage Site. Kolkata (formerly Calcutta) is located near the Himalayas in the state of West Bengal and is the main financial hub of eastern India. As the country's former capital, Kolkata is well known for its literary and artistic heritage, and a trip to the museum at Victoria Memorial will shed light on the city's detailed history. The city's strong European influence is captured in such places as Marble Palace mansion and St. Paul's Cathedral. It was also in Kolkata that Mother Teresa founded her Missionaries of Charity organization in 1950 to serve and care for the poor people of the area. 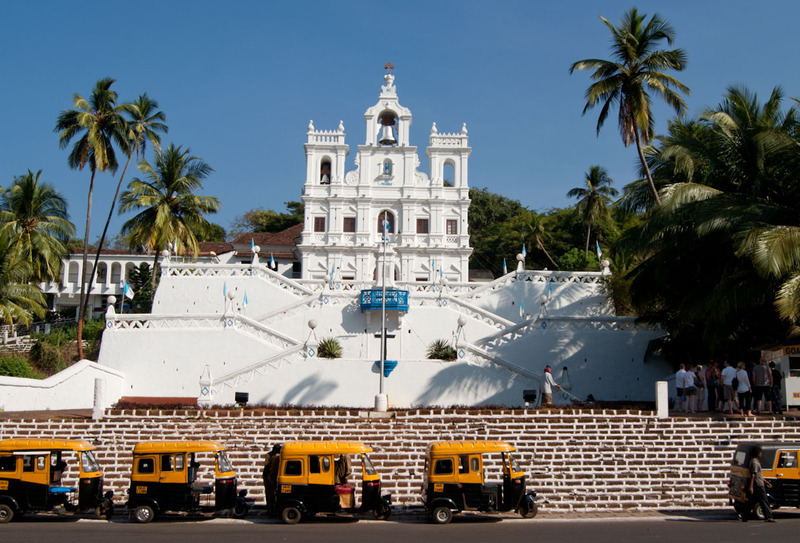 A small state hugging the Arabian Sea, Goa is famous for its tranquil beaches, places of worship and world heritage architecture. The coastal areas thrive on tourism, which is Goa's primary industry, and visitors come to enjoy the pleasant climate during winter. After being under Portugal's rule for 450 years, you'll notice the Portuguese style of architecture is evident in churches and houses. Be sure to sample the unique Goan cuisine that is rich in seafood, spices, rice and coconut milk. Not only is Pushkar one of the oldest cities in India, it also hosts one of the world's largest camel fairs. Held on the banks of Pushkar Lake, the Pushkar Camel Fair is an annual 5-day event that has become quite the tourist attraction. People bring their livestock to sell while others shop stalls full of jewelry, clothes, textiles and fabrics. For active adventurers, explore the rugged desert terrain on a camel safari. Udaipur, otherwise known as the City of Lakes, is located in western India in the state of Rajasthan and draws large crowds to its spectacular lakes and opulent palaces. 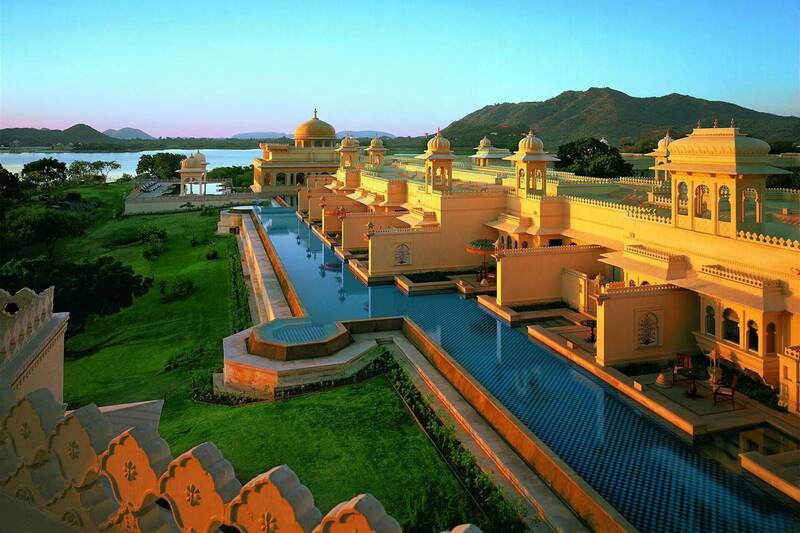 Of the many palaces, Lake Palace stands out the most as it is now an 83-room hotel made of marble and voted the most romantic hotel in India. The extravagant City Palace complex on the east bank of Lake Pichola contains a variety of palaces and museums within its walls. Behold the views from City Palace, including the elegant Jagdish Temple near the palace, Jag Mandir (an island-palace on the lake), and the hilltop Monsoon Palace with stunning sunset vistas. Other notable tourist attractions in Udaipur are the 41-acre Nehru Garden located in the middle of Fatah Sagar Lake; the garden space of Saheliyon-ki-Bari (Courtyard of the Maidens) for its lotus pool and marble elephants; and Udaipur Solar Observatory -- Asia's only solar observatory. The sheer vastness of India allows for varying climates by region from tropical in the south to temperate in the Himalayan north. India's diverse climate can be categorized into three general seasons: the cool season from November through mid February that tempts an influx of tourists, the hot summer season from April through June when the country experiences debilitating heat, and the monsoon season from June through September. In general, the best time to visit India is during the cool season from November through mid February when the weather is pleasant with warm days and cooler nights. These peak winter months also bring throngs of visitors, so consider the shoulder season in the fall (September and October) and spring (March and April) for lower rates and fewer crowds. The summer months from April to June are excruciatingly hot so plan your trip to the chillier Himalayas, in particular high altitude places like Ladakh in Jammu and Kashmir and Himachal Pradesh. The monsoon moves in between June and September to saturate much of the country. Although the rains can usher in natural beauty in some regions, visitors must be aware that flooding, power failures and natural destruction are very common during the heavy downpours. A visit during any one of India's many festivals can make for an exciting, unique experience. National holidays include Republic Day in January, Independence Day in August and the Gandhi Jayanti in October as well as major festivals such as Holi, Durga Puja and Diwali, but there are national and regional celebrations throughout the year.